Life can never be exciting without hope or a dream because that is what keeps us going. Without hope, life would be full of fear for what tomorrow might bring. 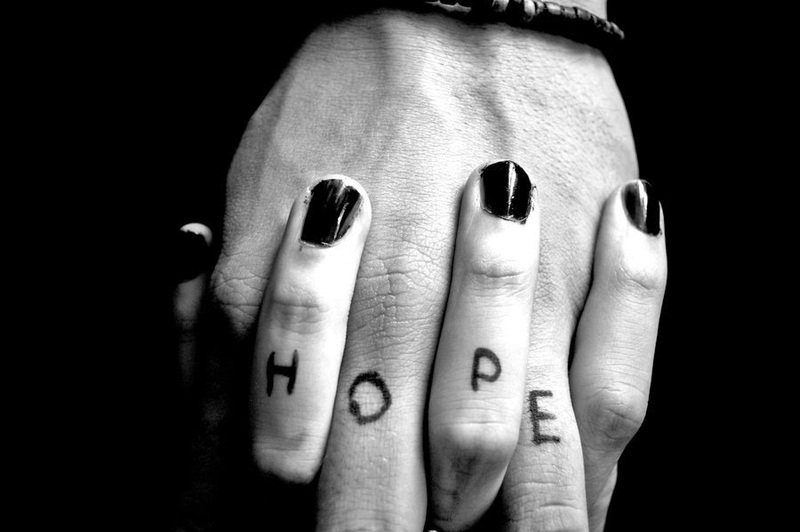 Yet, hope is also like a miracle, which we sometimes expect to just happen. People usually get bored without trying their best in what they set out to do. On the other hand, some give up easily and still hope for the best, even though it’s impossible. As there is a saying, “God helps those who help themselves”, for those who hardly try, they can never succeed in life if they just pray to God and don’t contribute anything on their own. I should say that they are just leading themselves to failure. We should always remember that hope begins with self. It is obvious that everyone longs for their beloved ones, but whether we like it or not, we would be leaving one day as we are mortals. So it is important that we leave some good memories behind before we depart. Life is not about always winning or being at the top. It is about giving our best at what we can do, be it a winner or a loser. But we should also keep in mind that everything happens for a purpose and for good. It is very important that we take things positively. Nagaland today is experiencing rapid transformation. In fact, we are growing fast and even surpassing others too in certain ways. But if we take a closer look at our society, some children still depend on their parents later on in life instead of repaying them for what they did. If we look at western society, the moment they reach the age of 18, they are totally on their own feet, and not at all dependent. This shows how far we are lacking behind others. We should live our independent life and find our own path in life for what God has planned for us. If we look at our political scenario, we find that people usually vote for the person who spends more money but not for the one whom we think can lead our society. This shows that we can’t even choose the right leader yet still hope for the best in future. In the education scenario, both students and teachers need encouragement but students need it the most. They have enough pressure from parent, teachers, exam or assignments etc., and to get rid of that pressure, I should say, some encouragement is the best medicine. But the students who need encouragement the most are often the least likely to receive it. This is because most of the time, the weak ones are left out. The most important skill to raise a student is the ability to encourage them. As a teacher, we should never look down on our students no matter how weak they may be, because what we deliver to them today might influence them forever. So we should be careful of what we say or speak. We should keep in mind that the student we mould today is going to be the fruit of our future. My profession is a testimony that even though life may be full of challenges, one must never lose hope. I have been teaching for a couple of years. During these years I have had great days as well as bad days. A good day would be when I come out of the classroom knowing that my students not only learned something from me today but enjoyed sitting in my classroom. These are times when I feel happy that I made the right career choice. On the other hand, I have also experienced tougher days either because of my students or pressure from my superiors. There are times I have walked out of the classroom unhappy because my students seemed disinterested or bored as compared to other days. I questioned myself during these times about whether teaching is the right career choice for me. However, I have realised that life has its share of ups and downs and holding on to positivity and hope helps get us through these challenges. However, like one hand alone can’t clap, hoping alone won’t bring a solution to any problem, because we can’t hope for something when we do nothing. Whenever I think of hope and success, it reminds me of Rick Allen, drummer of British rock band, Def Leppard, who lost his left arm in a car accident. But even after losing his arm, Allen didn’t give up because he had hope in himself. Soon after his recovery, Allen met with some engineers, who helped him design a drum set to assist his drumming. He could still play some drum rhythms with one hand, with the help of his left foot. After practicing hard, he again joined his band members and today, he is famous for being a prominent professional drummer who continued his music career despite the amputation of his left arm. Through this story, I would like to encourage each and everyone that we should never look down on ourselves, no matter if we are black or white, weak or strong, rich or poor. God has a plan for all of us.